USDCAD extended its upside movement from 1.2782 to as high as 1.3444. 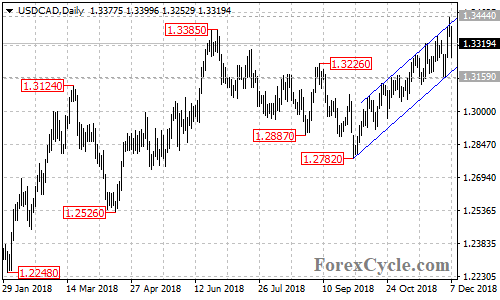 As long as the price is in the bullish price channel on the 4-hour chart, the upside movement could be expected to continue and next target would be at 1.3500 area. Key support is at 1.3159, only a breakdown below this level could signal completion of the uptrend. Next Next post: An Industrial to Trade: Is BA a BUY Here?